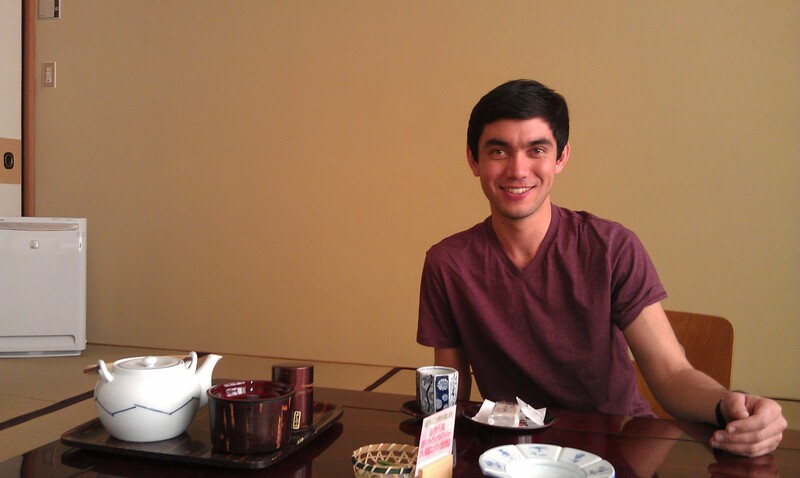 A candid of Brett saying "Home Sweet Home" in front of our Ryokan in Yoshino. I honestly don’t know where to start when it comes to documenting my trip to Japan. I just finished updating my paper journal, and it took 20 pages. 20 pages! I’ve never written that long in my journal in my entire life, and I still feel like I didn’t describe enough. Japan was incredible. I loved every minute of it, and I could easily live the rest of my life there. Alas I am back in dirty, rude New York, and Japan feels like a distant dream, an unreal Utopia. So I suppose I’ll just have to begin with the unexpected highlight of the trip, Yoshino. Brett and I wanted a real Japanese experience, and we knew that meant venturing out of Tokyo for a while. 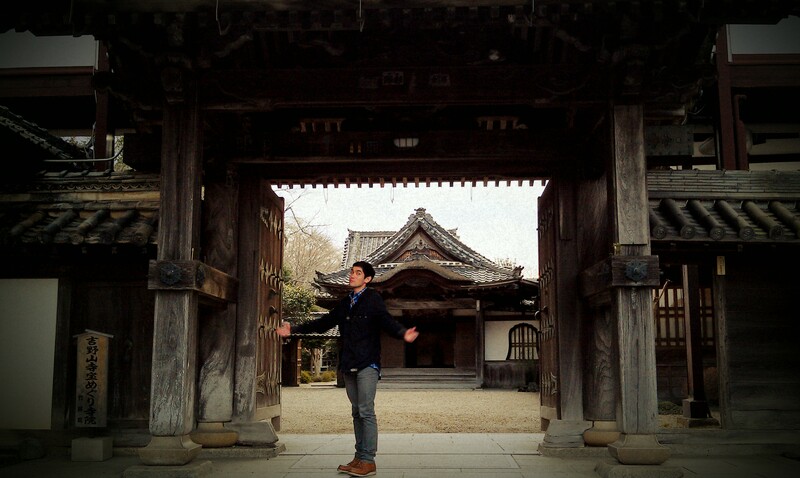 Our original plan was to go to Nara for a night, and Tokyo for a night. I found some authentic looking Ryokans (traditional Japanese inns), and Brett had the concierge at our Tokyo Marriott make the reservations. When we got to Yoshino, we saw a man in a suit who ran up to us. We showed him our Ryokan paperwork. He bowed, grabbed our bags and threw them into the back of a van with the name of the Ryokan on it. He had been waiting there for us. The ropeway turned out to be Japan’s oldest gondola, and it looked like it. We were very, very thankful we didn’t have to take it. Our ride up to the Ryokan was terrifying. 40mph on a thin, gravel mountain rode. Although, the view was breathtaking. This was NOT in any tourist book. We were heading deeper into the mountains, passing shrines and temples. 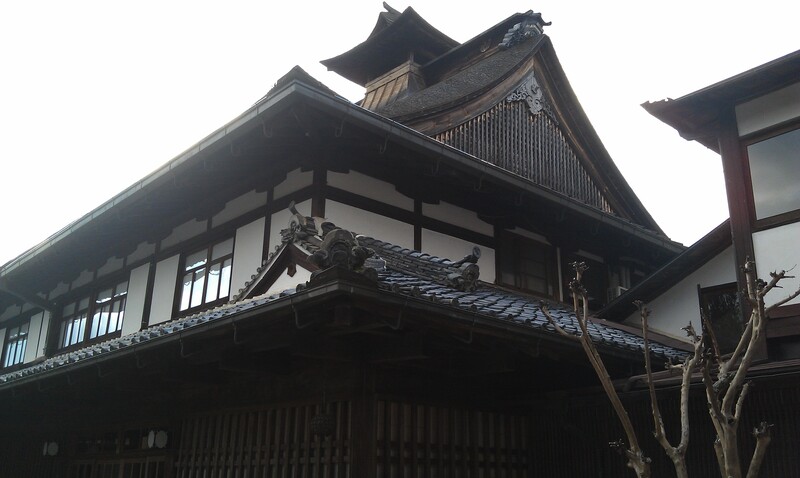 We entered what was itself a large wooden shrine with a traditional inn attached to it. We were greeted by another Japanese man who was wearing a suit you might see on a butler from the 1920’s. I think he might have even had a pocket watch. He was accompanied by an elderly Japanese woman in a kimono. We changed into provided slippers before stepping onto the tatami matted floor. The Japanese man spoke fairly decent English. He checked us in, asked us what time we wanted dinner and breakfast to be served to us, and showed us there the public mens and womens spas were. Our little old lady took us to our room. It was palatial. We had a full bathroom, an entry way, a luggage room, a sitting room, and the main room where we found a low wooden table and two seats. She didn’t speak a word of English, but talked to us in Japanese while making gestures. She had us sit down, and she served us the most delicious cup of green tea I’ve ever had. She bowed and left the room. It was then that we exploded in exclamations of excitement. After finishing our tea, we decided to walk around and explore a bit before dinner. The mountain air was crisp and clean, and everything was quiet. It felt so good to be far away from the city on my vacation. We returned in time to be seated for dinner in our own private dining room that was reserved for “Mr. and Mrs. Boldemann” which we both got a kick out of. To say our meal was incredible would be too easy. It was a lesson in Japanese cuisine, culture. It was tempura, sashimi, ramen, fresh fruit, fresh vegetables. Just when we thought the meal had ended, our little Japanese lady would bring more dishes in. A lot of the time I had no idea what I was eating, but each dish was so beautifully arranged, so fresh and delicious. Not even all our dishes. Some had been cleared away. After dinner, we headed to our rooms which had been turned down while we were dining. They had pushed the small table aside and laid out two futon mattresses with large, fluffy comforters. “Of course!” we said to each other. We changed into the bathing robes that had been provided us and went to our respective spas. It was still dinner time, so my spa was empty. I was somewhat grateful since I was a little uncomfortable being naked around a bunch of cute, old Japanese ladies. I stripped down, showered, and got into the spa. It was so relaxing, but after the day I’d had, I felt myself nodding off after only a couple of minutes. So I put my robe back on and headed to the room. Brett hadn’t returned yet, so I turned off all the lights in the room and stared out the window, up to the stars. I had an amazing night’s sleep. The next morning we both got up early to wander around Yoshino. I wandered some of the country roads and found my way to a hillside graveyard with views of the mountains. So quiet, so beautiful. Upon returning we headed down to breakfast which was just as extensive and amazing as dinner had been. That morning we had taught ourselves a couple of phrases of gratitude. Oishikatta! That was delicious! Gochisosamma! What a feast! After breakfast, we reluctantly packed up our bags and prepared to take our multiple trains to Kyoto. It was with heavy hearts that we left. We both fell in love with Yoshino. 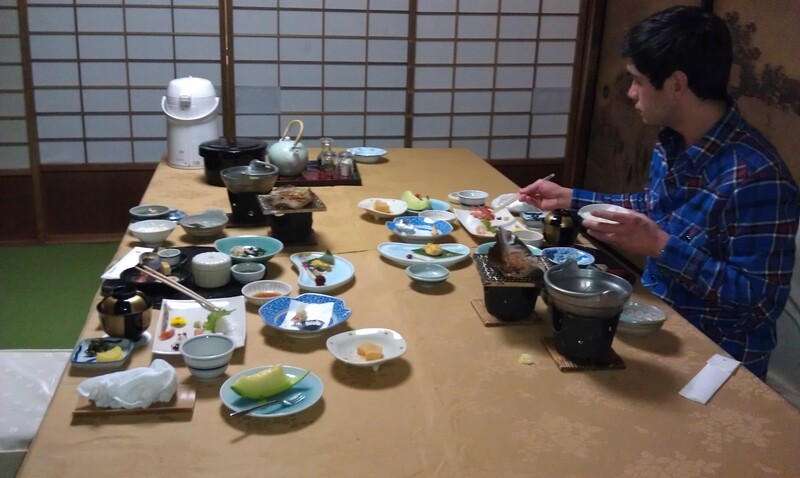 It was an authentic Japanese experience that we feel very privileged to have had. We only wished we could have stayed longer. Thanks for this post. I lived in Japan for a few months and was also amazed by this country and its people. It’s really difficult to explain just how gracious they are. I’ve always wanted to go to Japan, and reading about your experiences there have made me fall even more in love with a place I’ve never been… It’s still on the “one day I’ll get there” list right now, but in bold and starred and underline, with extra exclamation points!